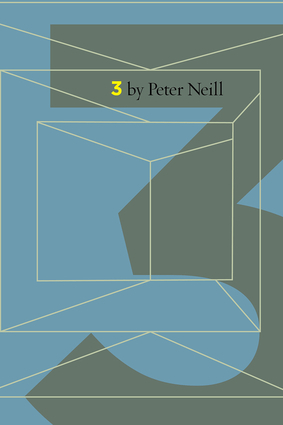 With three Peter Neill novels in one binding, this omnibus provides literary experimentation, creative narrative, and imaginative prose from the second half of the 20th century. A Time Piece addresses three moments in time and four levels of consciousness, revolving character and gender, and the interrelationship of superstition, religion, and science as the basis for the evolution of idea and belief. Mock Turtle Soup follows the voyage of two turtles from Ark to Death, the autobiographical passage of a young journalist from real to ideal, and his resolve to liberate himself and all women from the prisons of inhibition, social conformity, and the law. Acoma is a dystopian comedy set in a utopian future of “perfect health” that interleaves the self-consuming reveries of an anonymous narrator and the destructive antics of a revolutionary snake with the reality and aspiration of a native matriarch and her climb to freedom. The novels play with the interaction between linear and nonlinear structure, internal and external voice, literal and fantastical description, and word play. Peter Neill is the former president of the South Street Seaport Museum, the founder and director of the World Ocean Observatory, and a writer. In addition to the three novels in this collection, he is the author of numerous volumes on maritime art and literature, including American Sea Writing, Great Maritime Museums of the World, Maritime America, and On a Painted Ocean. He lives in Sedgwick, Maine.